This is a green world, with animals comparatively few and small, and dependent on the leaves. By leaves we live. Each of the various specialists remains too closely concentrated upon his single specialism, too little awake to those of the others. Each sees clearly and seizes firmly upon one petal of the six-lobed flower of life and tears it apart from the whole. 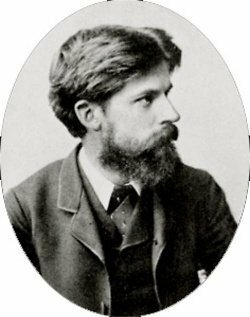 Bio: Sir Patrick Geddes was a Scottish biologist, sociologist, geographer, philanthropist and pioneering town planner. He is known for his innovative thinking in the fields of urban planning and sociology.